Tastefully updated and sunlit end unit with spacious living space. First floor. Inviting two-story entrance foyer with crystal chandelier. 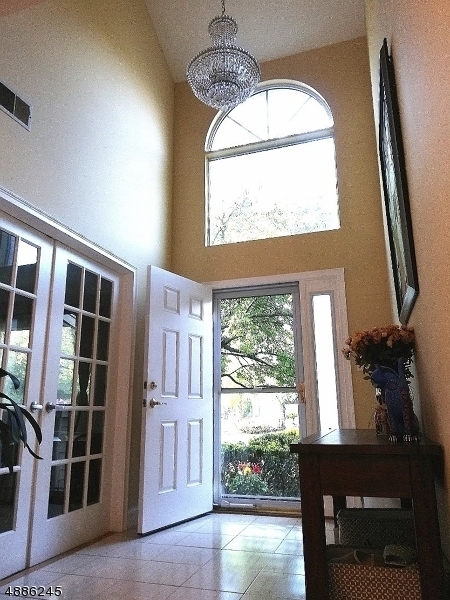 1st flr - Inviting 2-story entrance foyer w/crystal chandelier. Just off the foyer is a french door access to the living/study room. Cathedral ceiling family room w/access to private patio at the back. Master suite has a walk-in closet and en-suite bathroom w/a big shower area. Well-appointed eat-in kitchen with quartz countertop and SS appliances. Formal dining room, powder room and laundry room complete the first floor. 2nd floor boasts a very large 2nd br w/double closets, full bathroom, large loft area overlooking the family room below plus walk-in attic for extra storage. Multiple zones heat/AC.